Boston-Area Cemeteries Say No To Burying Bombing Suspect : The Two-Way The city of Cambridge has asked Tamerlan Tsarnaev's family not to request that he be buried in a city-owned graveyard, and four privately owned cemeteries have said they won't take the body. Officials in Cambridge, Mass., have urged the family of deceased Boston Marathon bombings suspect Tamerlan Tsarnaev not to ask that he be buried in a city-owned cemetery. Meanwhile, at least four private cemeteries in the area have already turned down such a request. 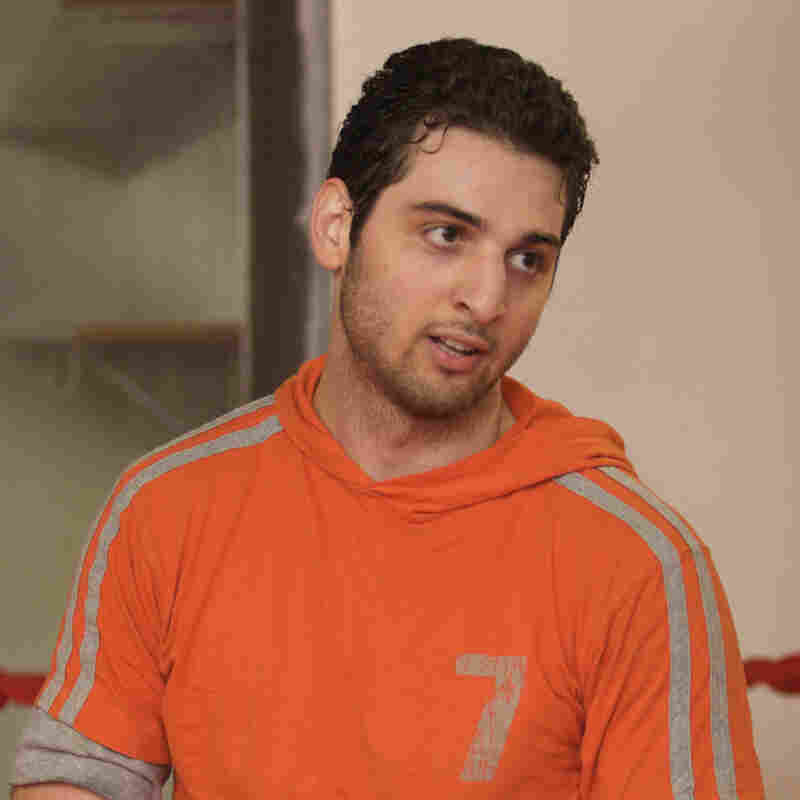 Tamerlan Tsarnaev in April 2009. From Boston, WBUR's Deborah Becker tells our Newscast Desk that Cambridge City Manager Bob Healy issued a statement over the weekend. In it, as The Boston Globe reports, he says that "the difficult and stressful efforts of the residents of the City of Cambridge to return to a peaceful life, would be adversely impacted by the turmoil, protests and wide spread media presence at such an interment. The families of loved ones interred in the Cambridge Cemetery also deserve to have their deceased family members rest in peace." Cremation is not an option for Tsarnaev's Muslim family. Three people were killed and more than 250 people were wounded April 15 when two bombs exploded near the marathon's finish line. On April 18, authorities say, Tsarnaev and his 19-year-old brother, Dzhokhar, were responsible for the shooting death of a MIT police officer on the Cambridge school's campus. In the early hours of April 19, according to investigators, they engaged in a gun battle with police in Watertown, Mass. Tamerlan Tsarnaev, 26, died from the gunshot wounds and blunt trauma he sustained during that firefight. Dzhokhar Tsarnaev was captured later that day in Watertown. According to The Associated Press, the funeral director who has been holding Tsarnaev's body says he will now seek help from the commonwealth of Massachusetts. "The dilemma over where to bury the 26-year-old suspect comes as a friend of his brother Dzhokhar Tsarnaev heads to court Monday for a bail hearing on charges that he lied to federal investigators after the bombings. "Defense attorneys said in court documents filed Saturday that they will ask a federal judge to release Robel Phillipos of Cambridge from jail. They said he had nothing to do with the deadly bombings and isn't a flight risk. "Phillipos, 19, was charged last week with lying to investigators about visiting Dzhokhar Tsarnaev's college dorm room on April 18, three days after the bombings. Two other friends were charged with conspiring to obstruct justice by taking a backpack with fireworks and a laptop from Tsarnaev's dorm room. All four had studied at the University of Massachusetts Dartmouth."